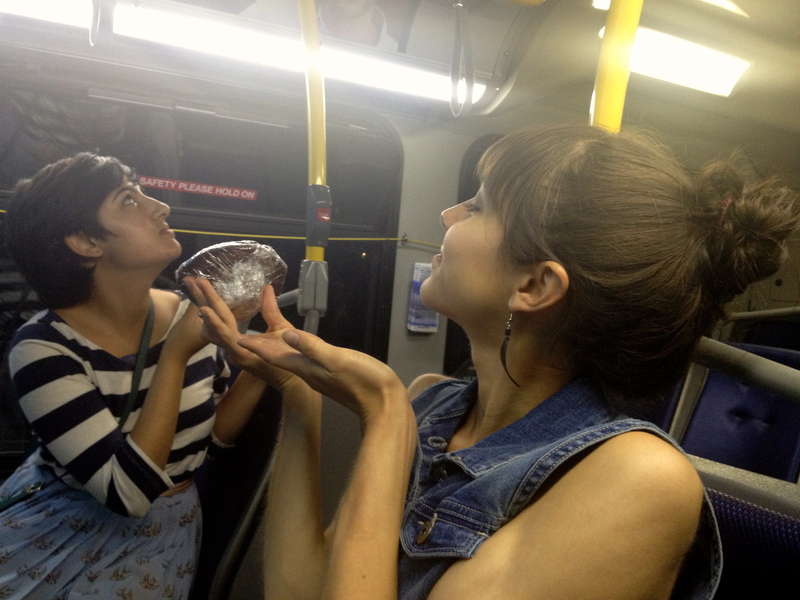 This evening, my good friend Umaima and I were taking the bus home from our ecological economics class when we bumped into her friend Hana. Just before we got on the bus, I had been telling Umaima about how it was already 10:30pm and that I hadn’t yet met my stranger of the day. I told Hana about my project and how I think every single person has a story. Then she opened her purse. It was like looking into a swirling vortex of muffin entropy (muffentropy?). Carrot zucchini muffins. Chocolate raspberry banana muffins. Blueberry bran muffins. The options seemed endless. I’m eating one right now, actually. Mmm. The back story: she works at a café. Each night at closing, she gets to take home the leftover muffins. She gives them out with a smile to strangers on the bus, and makes sure to save one for the bus driver. Everyone was thanking her as they got off the bus. She made a lot of people smile after their probably long days at work. Hana’s a student at the University of British Columbia. She’s interested in the new media studies program there. In her free time, she loves practicing yoga, watching movies, dancing, checking out diverse cities with cafés and shops, spending time with her friends, and going out to trivia nights. She has a great sense of humour and a gentle kindness about her that I noticed immediately.